Dedicated this article to understand the Architecture & Components of Nakivo Backup and Replication v 6.1. Nakivo Backup and Replication is one stop shop for all our Backup and Replication requirements irrespective of the fact whether we want to Recover the VM's onsite, offsite or to Cloud. 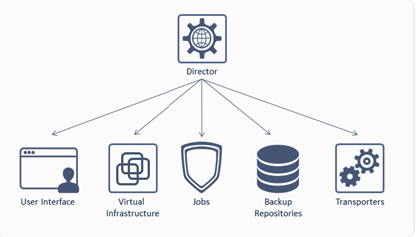 1) Director - Centralized Management Interface responsible for Managing our Inventory of Virtual Infrastructure. Well this is the Place Where we will be creating the Back Up Jobs, Managing them and also managing our backup repositories. We can consider Director as vCenter Server Running with Web client or in another words we are accessing vCenter Server using Web Client wherein the Web Client is giving us Graphical User Interface and vCenter Server is Giving us Centralized Management Capabilities. Again this analogy i used is to explain the Architectural behaviour of Director component of Nakivo Backup and Replication v6.1. So how many Directors should be Deployed ? 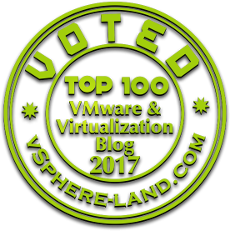 One instance of Director would be enough to manage our Geographically apart vCenter Servers, Standalone ESXi's and also the Backup Repositories. 2) Transporter - As the name suggests Transporter the "One Who Transports" is the component which is responsible for performing Replication, Backup, Data Recovery, Compression, Encryption. By default when we proceed with the installation an Instance of transporter is Installed along with Director called as On Board Transporter. How many transporters should be Deployed? Single Transporter can simultaneously process VM disks during Backup ,Replication and Recovery which is set to 6 by default again it is a configurable parameter and can be changed. What if the Jobs contain More Virtual Machine Disks than the Transporter is set to Process Simultaneously, in this scenario the Disks would be Put up in Queue and would be processed by the Transporter once it is free to handle those Disks. Our Initial Question about How Many Transporters Should be Deployed Still remains Unanswered, Well the Answer depends on how large is the environment? Do we need Multiple VM's to be processed Simultaneously if Yes then we can go with more than one Transporter to distribute the workload among them. Do we really find a business use case in our environment wherein we need more than one Transporter Yes Maybe If we have two sites over WAN and the VM's are getting replicated between these sites. In this Example we can go ahead and deploy more than one transporter so as the Transporter at source and destination site can help me encrypt/decrypt the data. 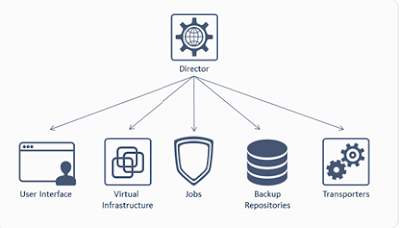 Otherwise one Transporter would be more than enough to be deployed across one site and would be taking care of all our requirement related to Backup, Replication. Another important component when working with Nakivo Backup and Replication v 6.1 is our Backup Repository (Folder Used for Storing Virtual Machine Backups). During the initial Setup when adding the Backup Repository a folder get's created by the name of Nakivo Backup based on the location you have specified. When Specifying the folder for our Backup Repository we can choose CIFS Share or Local Folder of the Machine where Transporter is Installed choosing this option helps us to choose from any storage types (SAN,NAS). When it comes to the Management of these Repository each of the Repository is Managed by an Assigned Transporter responsible for performing Read and Write on that Repository. Virtual Machines Backups are Compressed and Deduplicated at the Block Level giving us an overall Storage Space upto 128 TB. Now when we are aware about the Architectural Components it's time for us to proceed further and talk about some New Features in Nakivo Backup and Replication v 6.1. Object recovery for Microsoft Exchange 2016 and 2013: Nakivo Backup and Replication v 6.1 enables us to browse, search, and recover Microsoft Exchange 2016 and 2013 objects which could be our emails directly from compressed and deduplicated backups without restoring the Entire VM in the First Place. This is one of the Feature which is my personal favourite because when it comes to Exchange Server i know how critical is could be to find the right email when you really don't want to spend time in recovering the Virtual Machine itself. Job Chaining: Another New Feature in Nakivo Backup and Replication v 6.1 helps us by extending it's job scheduling capabilities which ensure Backup Job can trigger another Job Post t's completion. 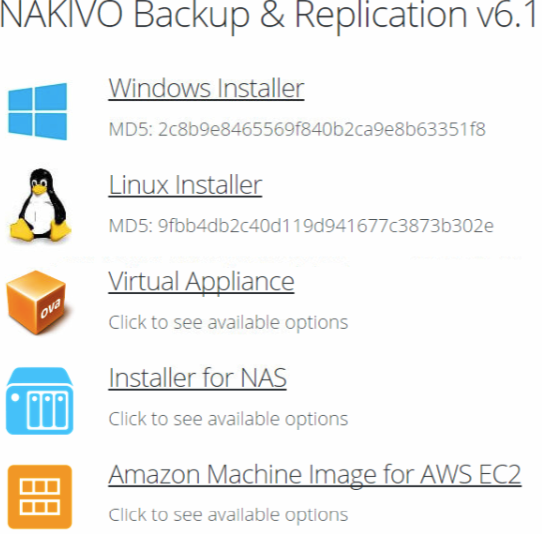 Would be dedicating another article where will be talking about the installation and configuration, giving you all heads up well in Advance to Download Free Trial Nakivo Backup and Replication v 6.1 which is available as Windows Installer, Linux Installer, Virtual Appliance,Installer for NAS and Amazon Machine Image for AWS EC2.